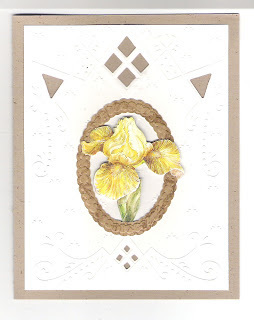 The background is a Marianne Designable embossing die. The oval is a Cuttlebug folder/die. The flower is from K&C Company. An easy card to make for any occasion.